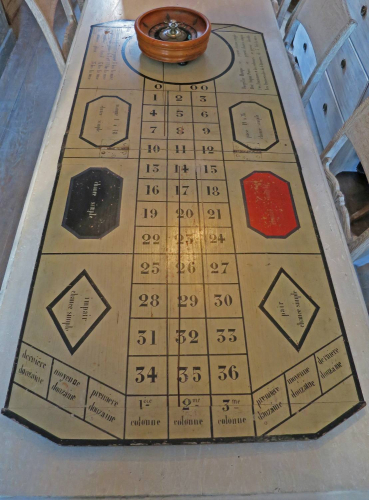 Folding French Roulette Board with its own wheel - Circa 1900. In very good condition for its age. On a solid pine board which is hinged in the middle to allow it to be folded. An unusual and possibly profitable piece.......?